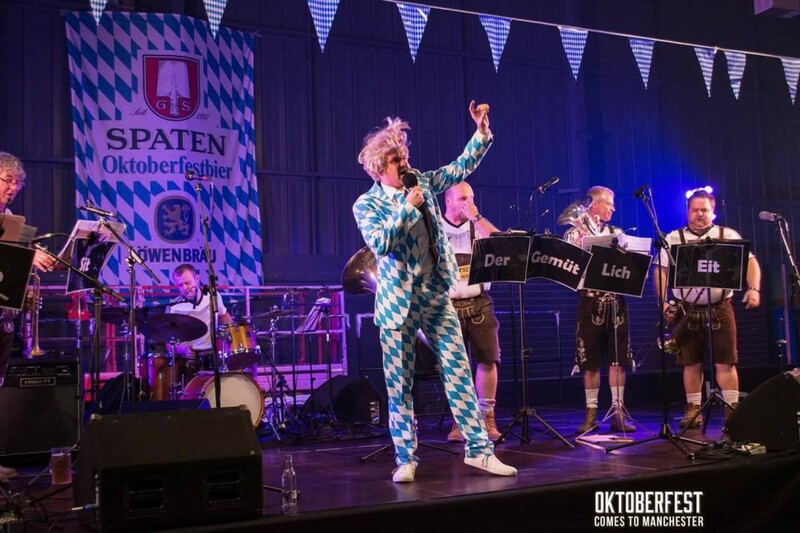 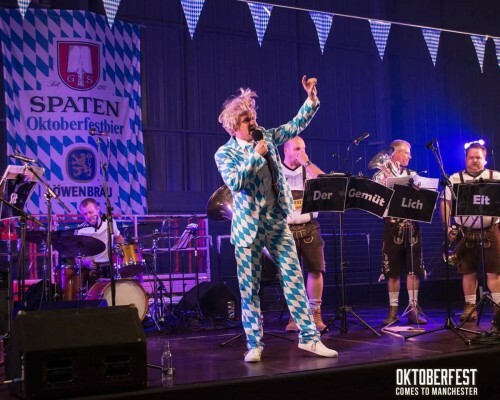 Abu Dhabi Oktoberfest headline act 2018! 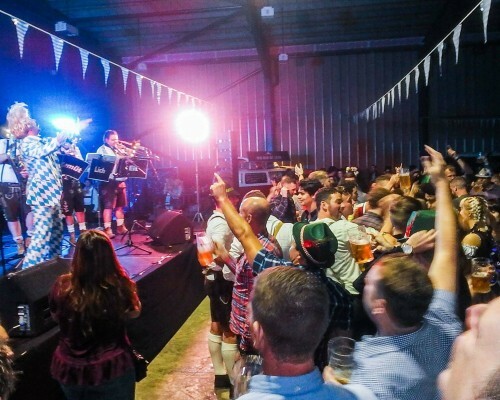 Cork & Limerick Oktoberfest Beag headline act 2017! 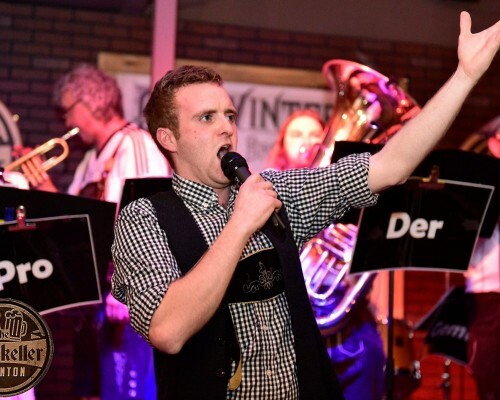 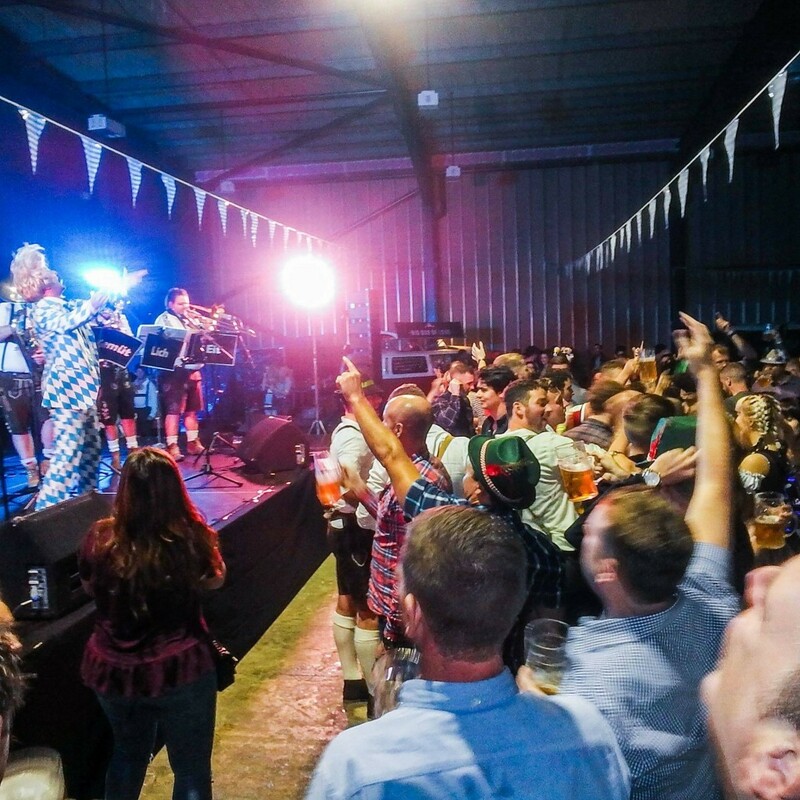 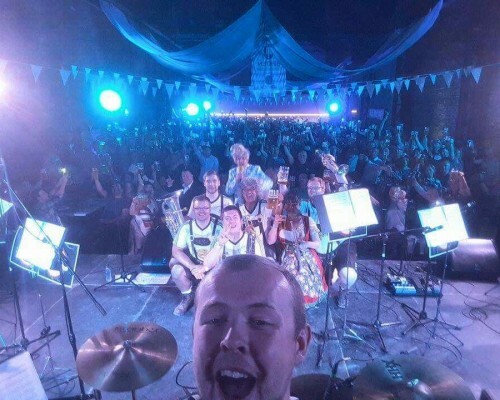 Cork Oktoberfest Beag headline act 2016! 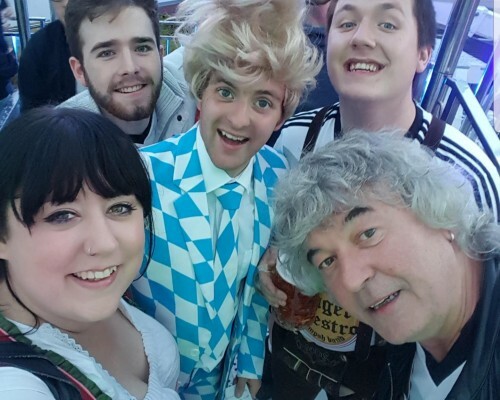 8 out of 10 Cats Does Countdown stars! 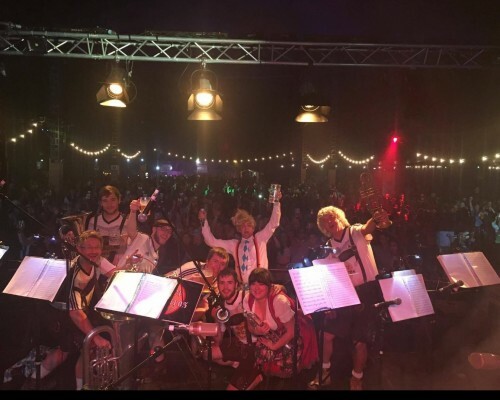 Sell out show at Butlins 2015 and 2016! 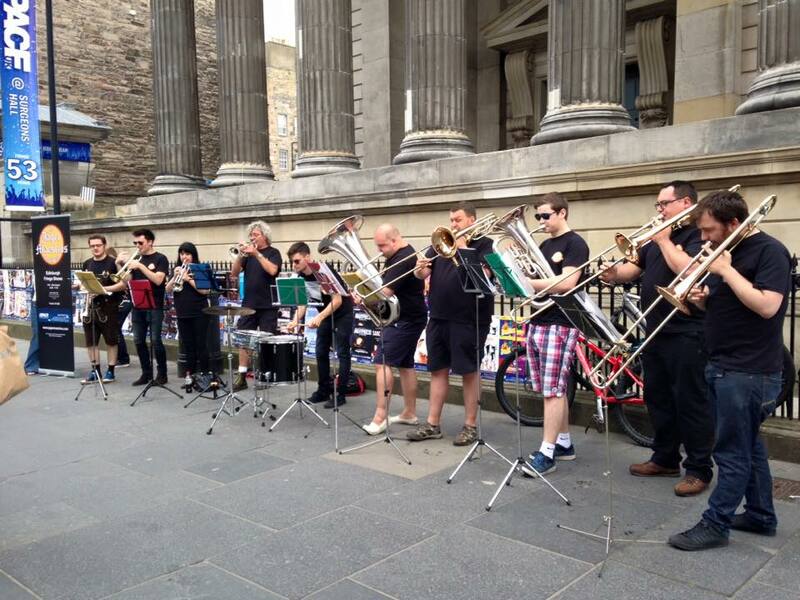 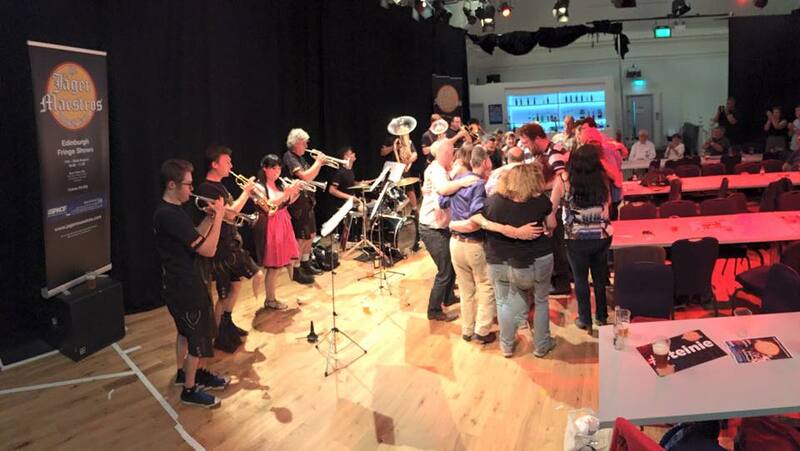 Sell out Edinburgh Fringe show 2015! 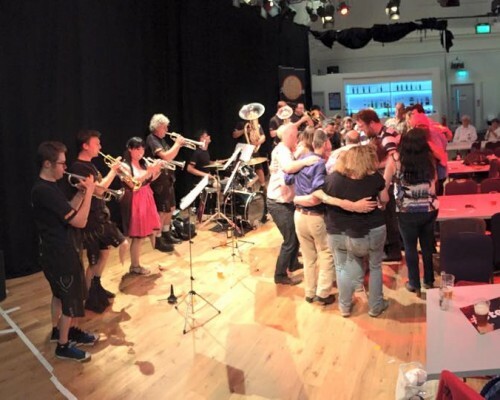 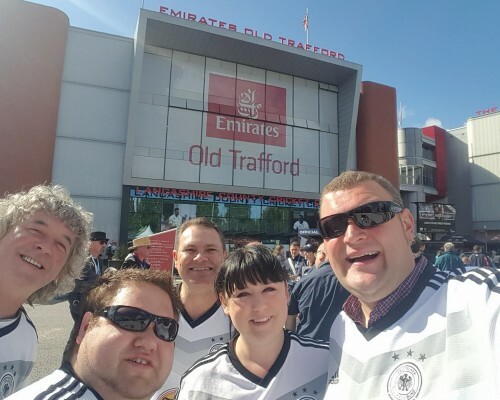 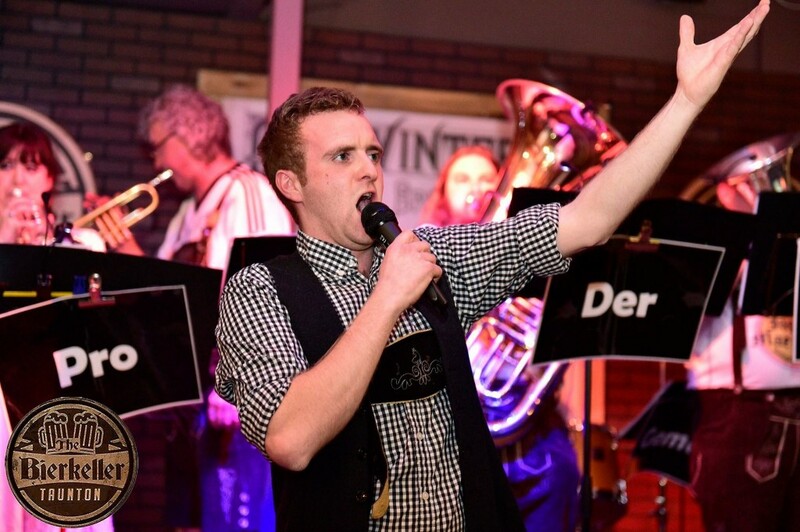 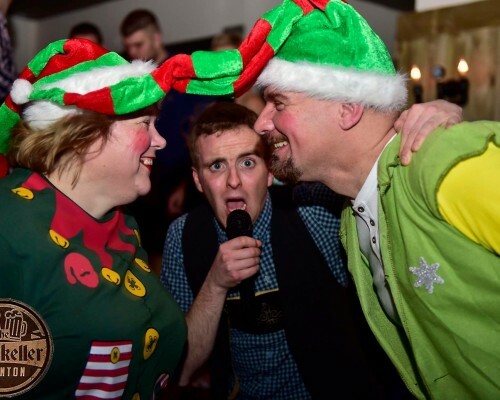 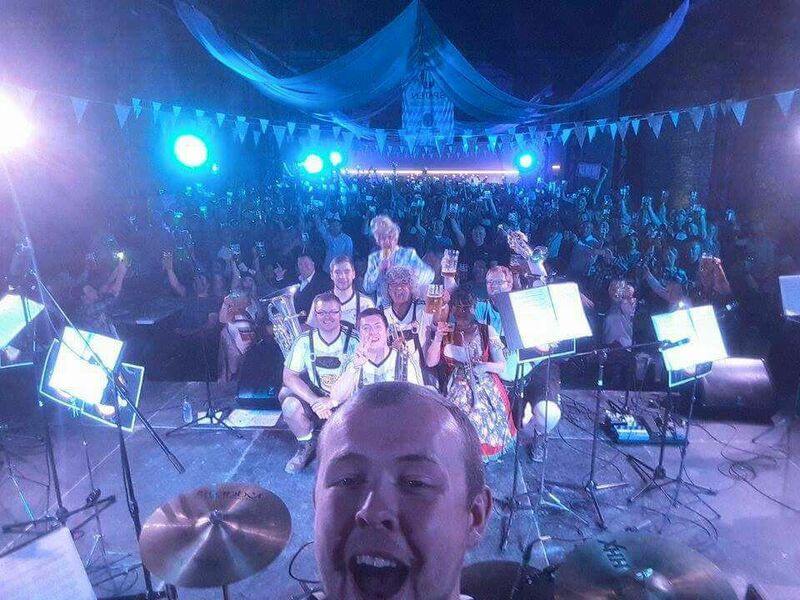 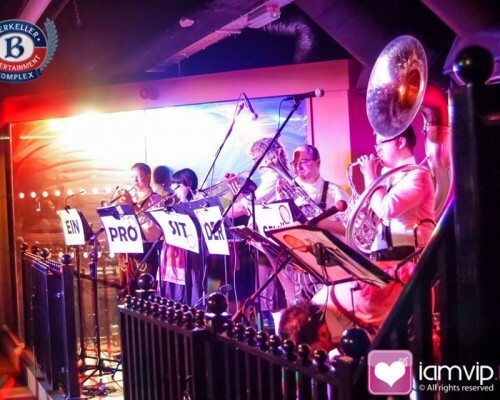 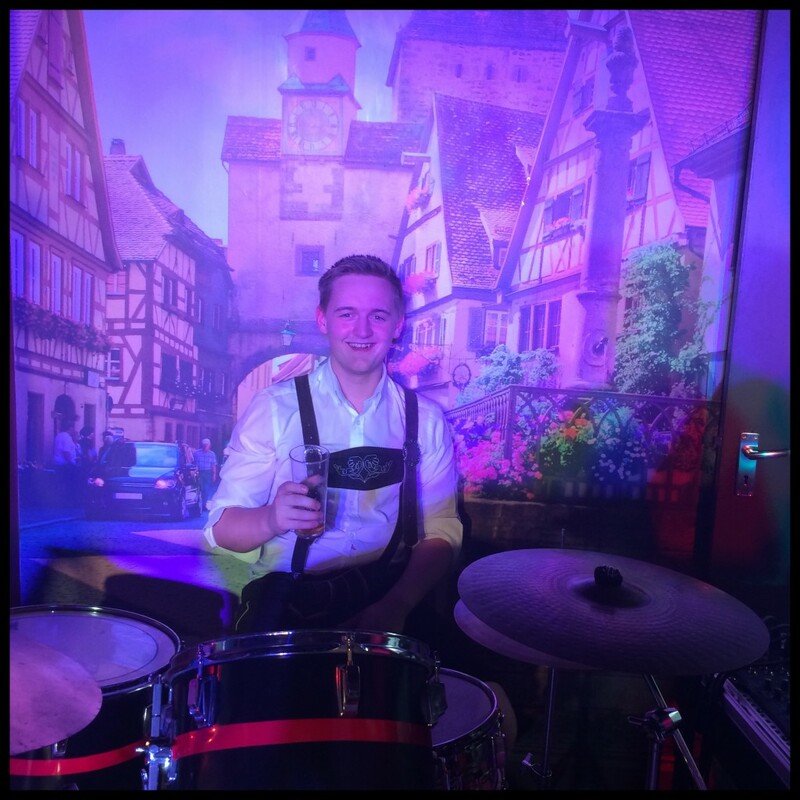 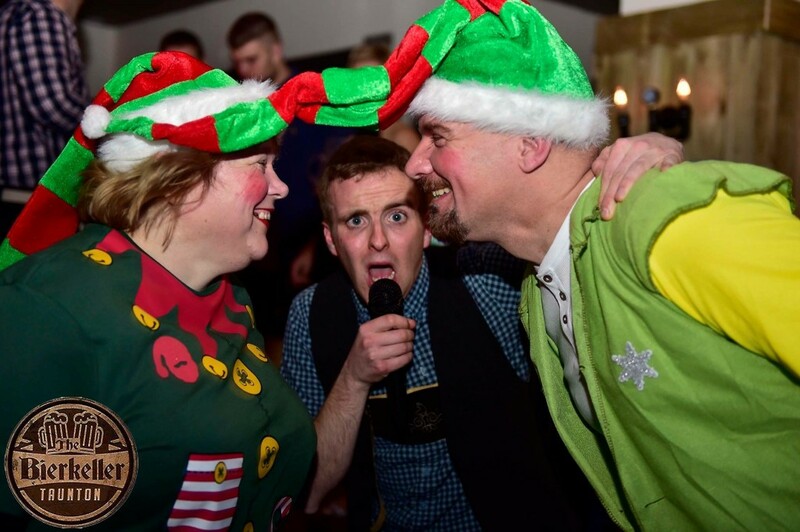 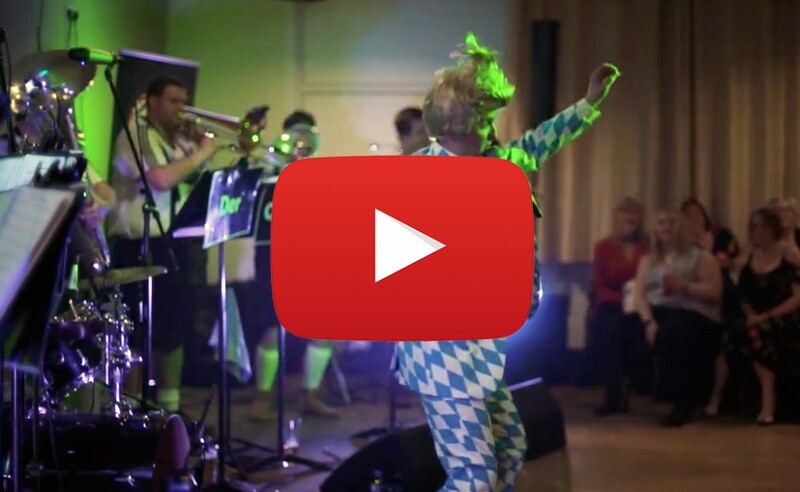 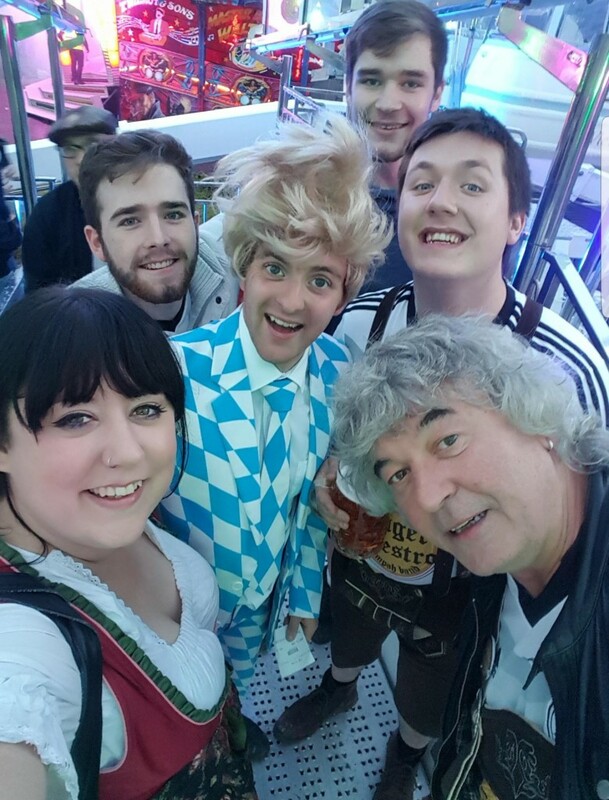 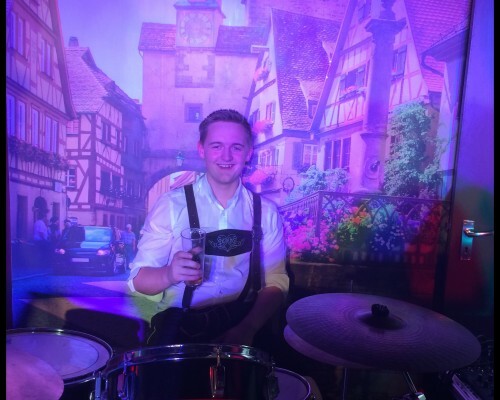 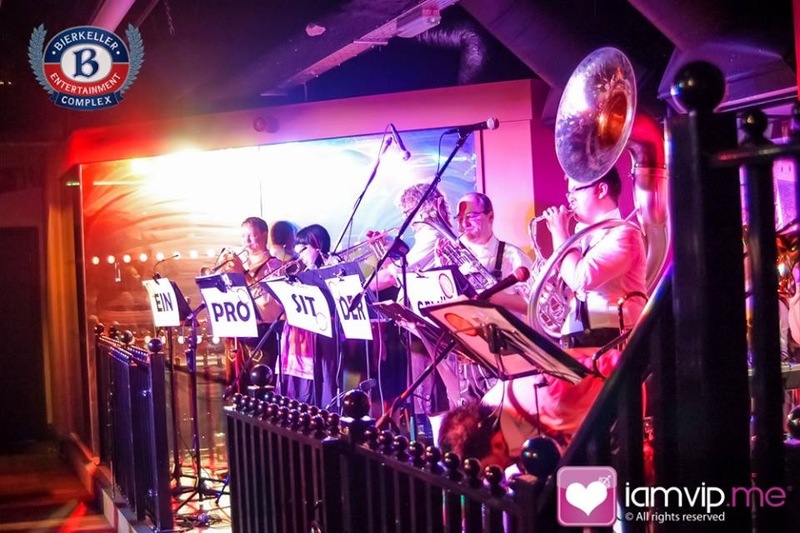 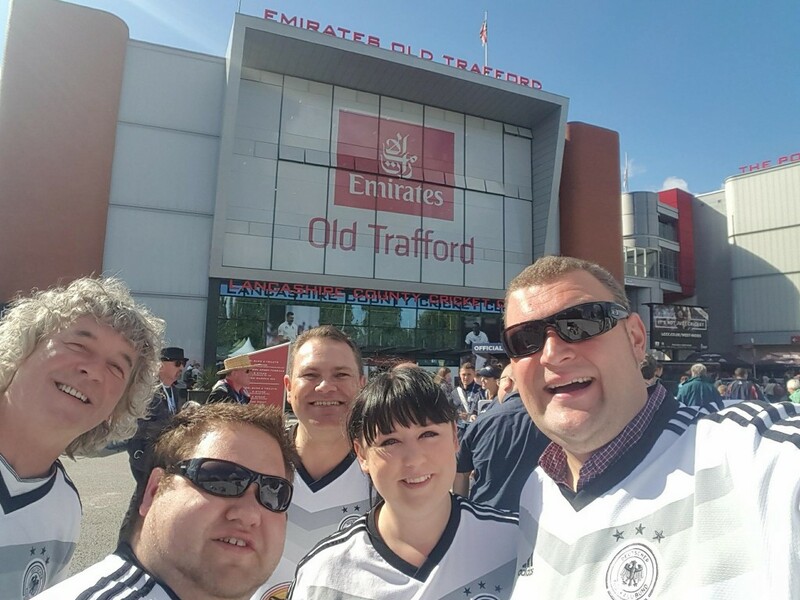 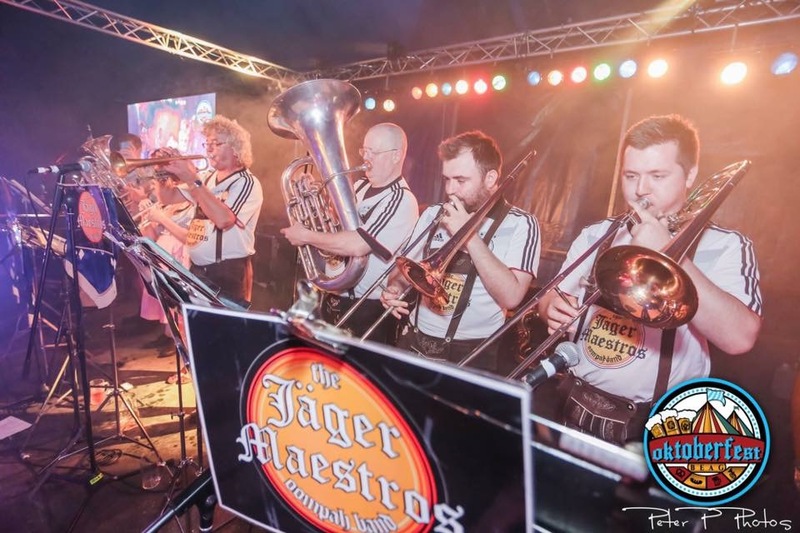 Manchester’s definitive entertainment band, The Jager Maestros are an authentic German Oompah band with a refreshingly modern difference. 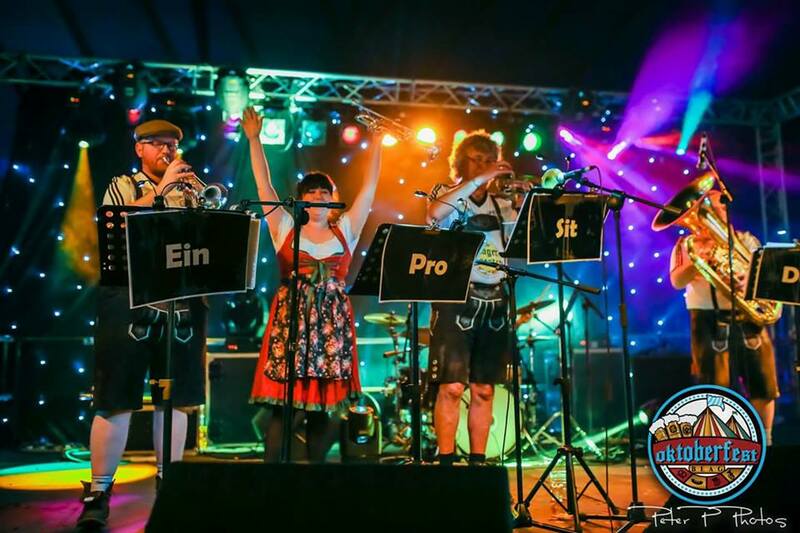 Manchester’s definitive entertainment band, The Jager Maestros are an authentic German Oompah band with a refreshingly modern difference. 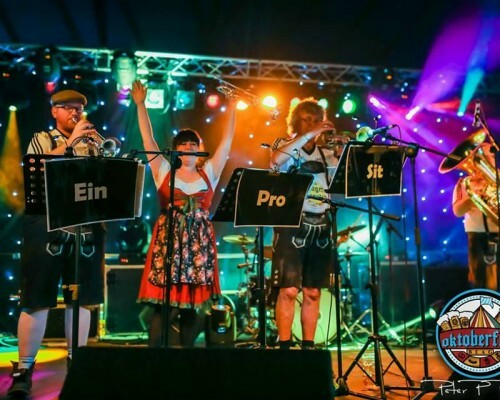 Comprising of 8 of the country’s finest brass players and an irrepressible stand-up comic as a front-man, this band lead audiences on a highly exciting, mesmerising journey from Oktoberfest drinking songs and games to contemporary classics in an Oompah style that wonderfully get crowds swaying, swigging steins and singing songs at the top of their voices! 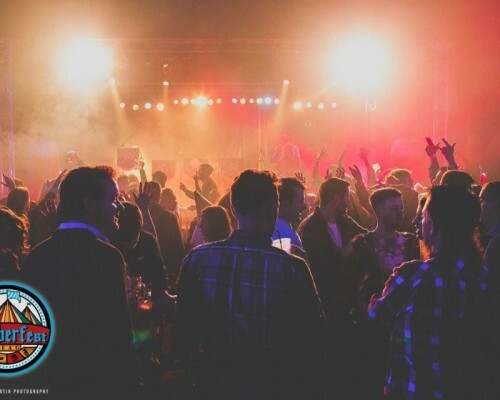 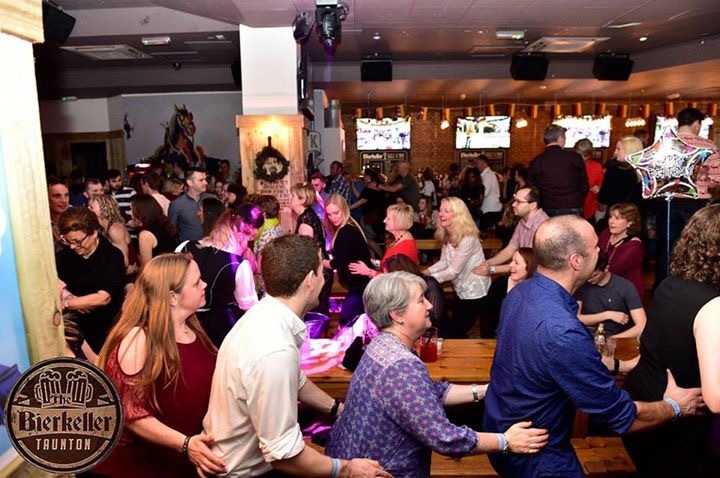 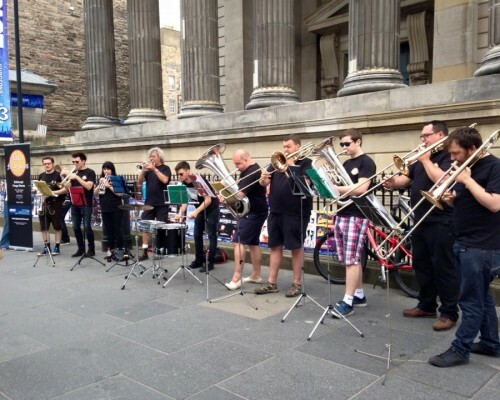 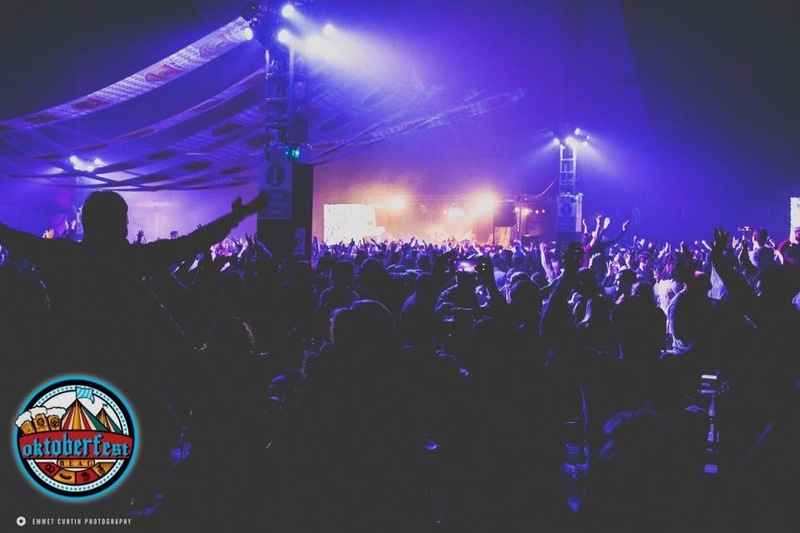 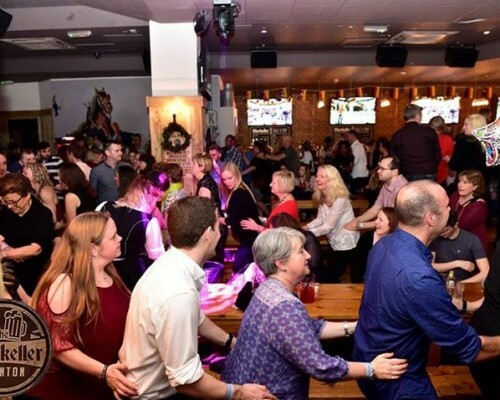 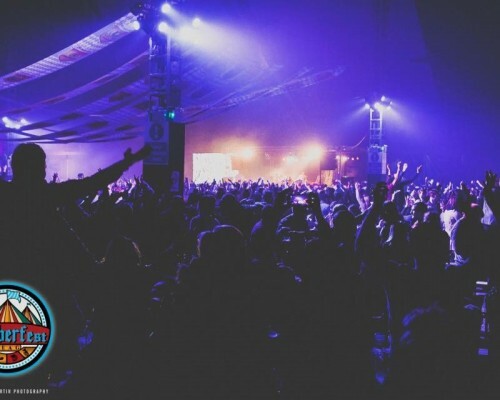 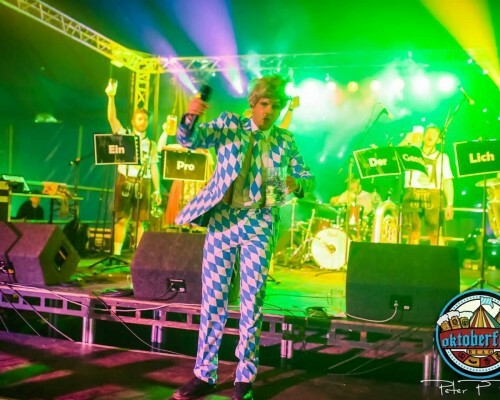 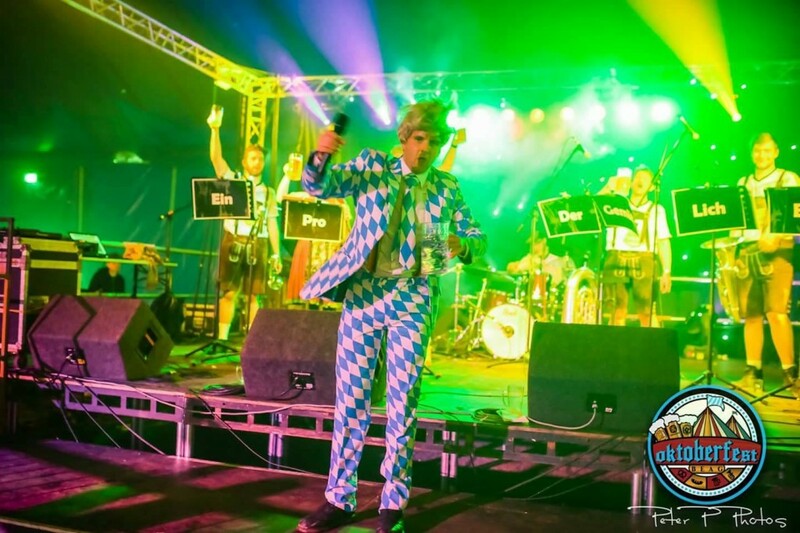 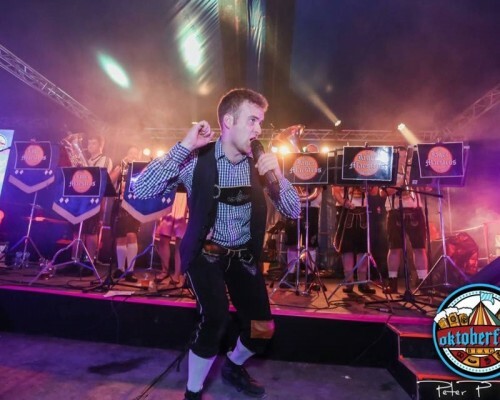 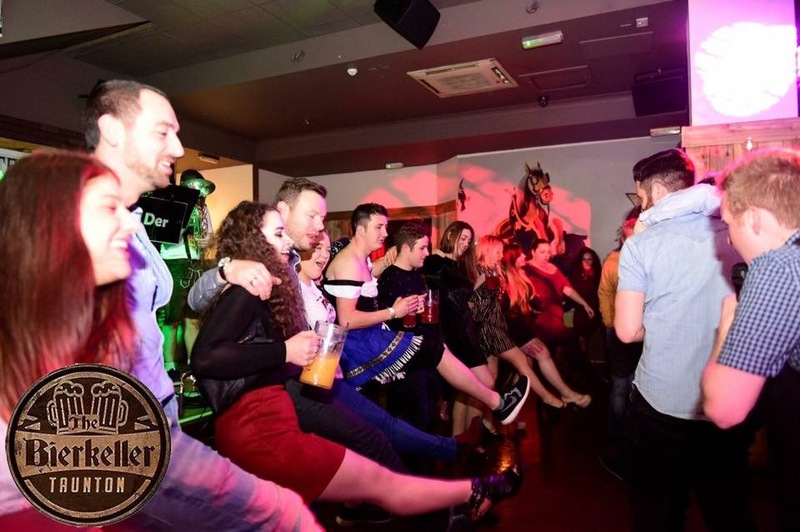 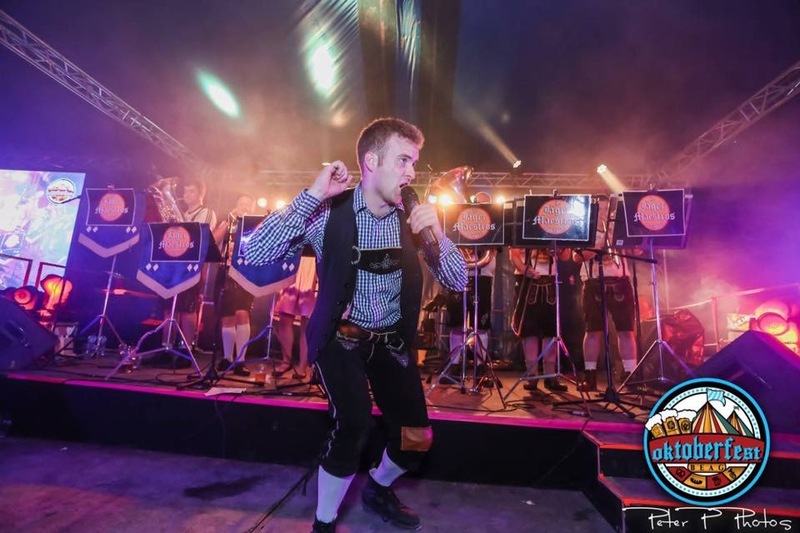 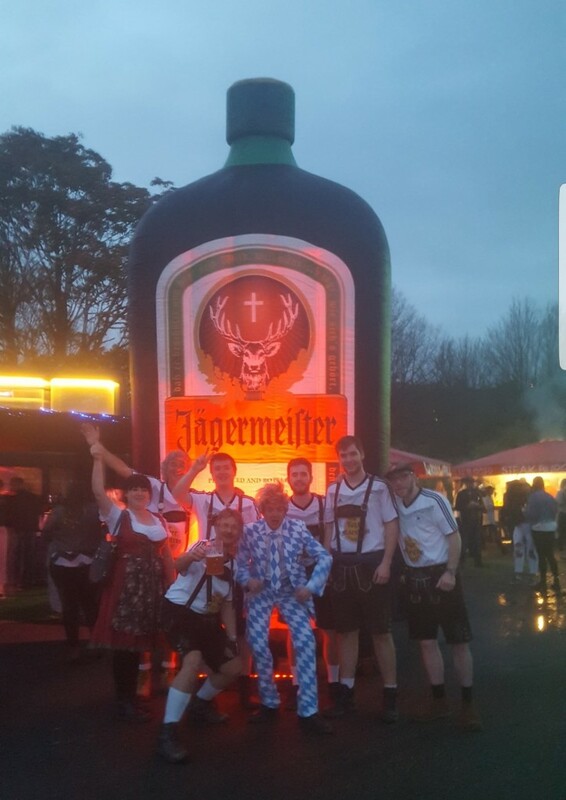 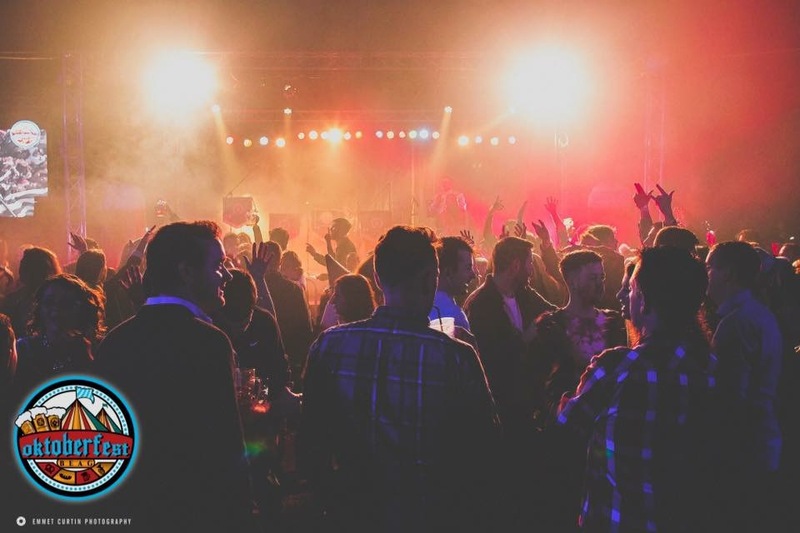 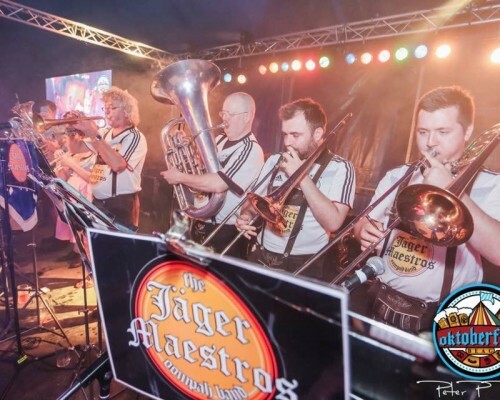 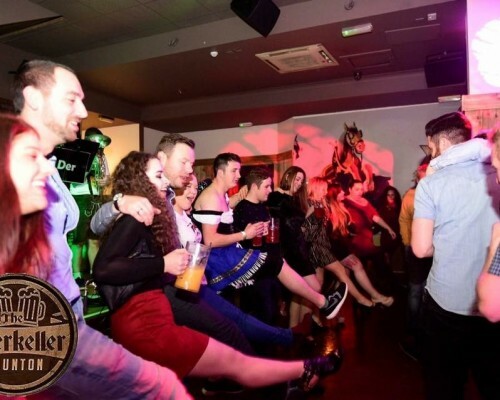 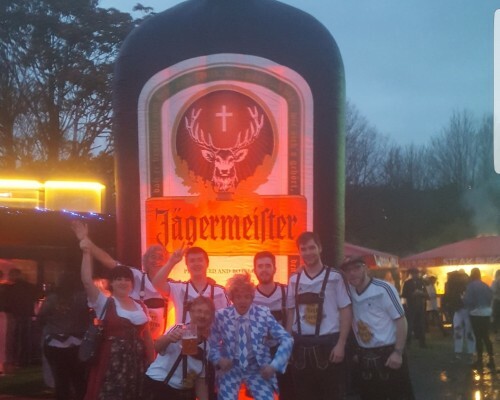 A sell-out act at the Edinburgh Fringe Festival 2015 and a regular stars around Oktoberfest venues in Europe, The Jager Maestros have been a hit with audiences of all ages across the UK and are a must for any fun-filled occasion!